So God created the great sea creatures and every living creature that moves, with which the waters swarm, according to their kinds, and every winged bird according to its kind. This has been a summer of birds. A pair of hawks decided to build their nest in the white oak that stands tall and proud over the corner of the house in Greenville. Four strong limbs branch out to securely hold the nest where momma hawk nestled her babies. 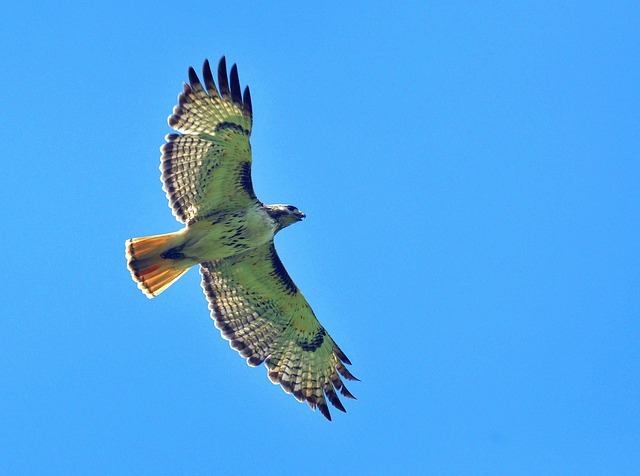 Daddy hawk would soar through the canopy, bringing back food for his family. During early summer, we watched as the adolescent hawks learned to fly, screaming with excitement as they awkwardly landed on the next branch. A momma wren built her nest in the corner of the pool house; making that room off limits to us the first weeks of June, while we waited for her to get them big enough for their flying lessons. A pair of owls hooted ‘who cooks for you’ back and forth over our heads the evening of the 4th of July before the fireworks started. The one on the lowest branch swiveled its head slowly back and forth scanning the underbrush for dinner. At West Point Lake, our dock looked across the water to the large stick nest of a pair of ospreys. Every morning we could watch the ever-tightening circles of the male as he descended through the sky, calling to his mate, where she waited for him in his nest. “I think ospreys mate for life,” commented my friend Steve. The next morning as Jeff and I paddled our kayaks under a bridge, we looked up into the underside, which was covered with blobs of red clay alien-looking nests. The swallows flew out and filled the blue sky above our heads. Today, look up into God’s heavens. Be still. Watch for the reminders of His majesty. Listen for the songs He wrote for His birds alone. Look for the brilliant red of His cardinal, the soft brown of His sparrow, the gleaming black of His crow. Question: Do you see God in His creation? What does the care He took in designing His living creatures tell you about His nature?